Thank god for moms! Without them we wouldn’t have learned about the K connection to the new (or at least new for Netflix) series Lemony Snicket’s A Series of Unfortunate Events. Joe Tracz ’04 is one of the writers on the new series, and his mom sent word about the release (in two days, on FRIDAY THE 13th!) to Ed Menta, the James A.B. Stone College Professor of Theatre. Her note was not so much about her son as it was about wanting to inform current students of the infinite possibilities of a K education. 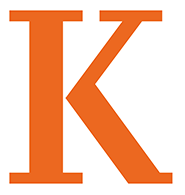 “We all appreciate what the Kalamazoo College environment did/does to guide these possibilities,” wrote Deb Tracz. 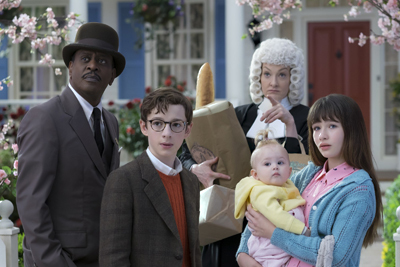 Lemony Snicket’s A Series of Unfortunate Events is Netflix’s newest all-ages series drop, culling an eight-episode first season from the first four books in Snicket’s best-selling 1999-2006 children’s novel series. The story recounts the tragic tale of the Baudelaire orphans–Violet, Klaus, and Sunny–whose evil guardian Count Olaf will stop at nothing to get his hands on their inheritance. The siblings must outsmart Olaf at every turn, foiling his many devious plans and disguises, in order to discover clues to their parents’ mysterious death. Neil Patrick Harris starts as the evil Count Olaf. Other actors featured in the series include Don Johnson, Patrick Warburton, Joan Cusack, Catherine O’Hara, Alfre Woodard, Usman Ally and Aaaif Mondvi. The executive producer is Emmy Award winner Barry Sonnenfeld. Joe Tracz is a playwright, screenwriter and librettist. His work includes Poster Boy (with Craig Carnelia; Williamstown Theatre Festival); Be More Chill (with Joe Iconis; Two River Theater); and Song For a Future Generation (Williamstown, The Management). His adaptation of the first book in the Percy Jackson series, The Lightning Thief (with Rob Rokicki; Theatreworks USA) received a Lortel nomination for Outstanding Musical. His plays have been developed at Manhattan Theatre Club, Roundabout Theatre Company and Second Stage, and published in Best American Short Plays. At K Joe majored in English and studied abroad in London, England. Two of his plays, Alison Shields and Phenomenon of Decline were produced by Festival Playhouse of Kalamazoo College. Both received regional awards from the American College Theatre Festival. Based on the 13-book series written under the pen name Lemony Snicket (a.k.a. Daniel Handler), A Series of Unfortunate Events has been printed in 41 different languages, with sixty-five million copies sold as of 2015. Congratulations, Joe. And thank you, Deb. This entry was posted in Fine and Performing Arts, News Stories, People in the News and tagged alumni, arts, English, theatre, . Bookmark the permalink.